Betting preview, tips and enhanced odds for the Six Nations clash between Italy and Wales. Wholesale changes for the Welsh when they visit Italy this weekend in the Six Nations. Warren Gatland’s team opened their campaign with a win over the French while the Italians were woeful at Murrayfield against the Scots. 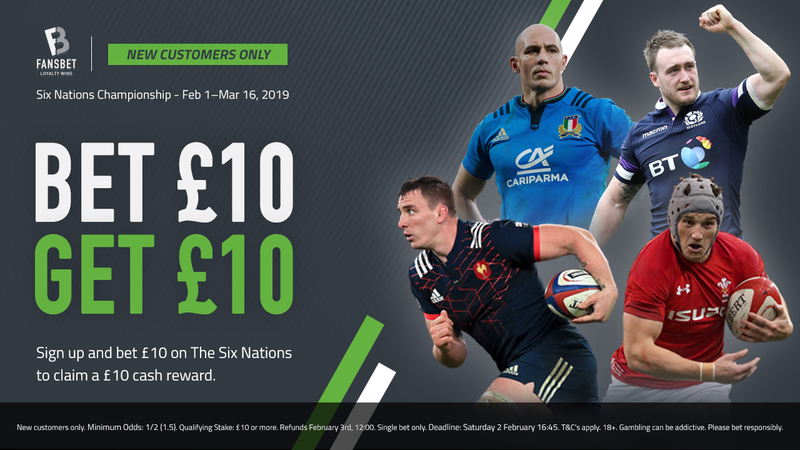 Form Labs bring you their betting preview and tips for the game and if you are looking to have a bet then make your way over to our selection of enhanced odds for all the Six Nations games this weekend. Only Australia last year (24 points) and Wales in 1995 (17 points) have produced greater second half comebacks in tier one rugby to date. That shows the true magnitude of what France let slip at the weekend in Paris as they went in at half time 16-0, before gifting the Welsh a multitude of chances and eventually losing 24-19. Italy have just beaten the record nobody wants to have of the most consecutive losses in Five/Six Nations history – 18 – with their last vcitory coming back in 2015 against the Scots – who went on to be whitewashed that year. It was Scotland who inflicted that record defeat last time out and although that’s very disappointing for Connor O’Shea’s men, they did manage a late 17-point serge when Simon Berghan was sin binned, clawing back a 30-point deficit to just 13. Wales make 10 changes for this second round as they look to beat Italy for a 13th consecutive time since 2008. Indeed, it has been the Welsh backs that have done the damage as they have been the first to cross the whitewash in eight of those meetings, while they have racked up as many as 38 of their total 44 tries. More specifically, it has been the outside backs (outside centre, wingers and full-back) with 30 of those five pointers and with Liam Williams retaining his spot in the starting line-up, we fancy his chances. The full-back was disallowed his sides’ opening try last time out and with four tries from his last four starts, he looks the value bet.